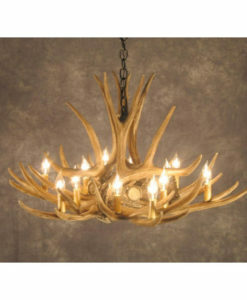 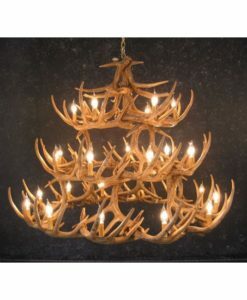 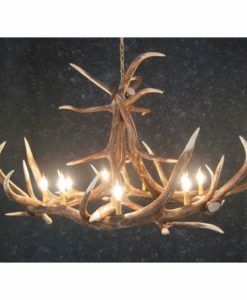 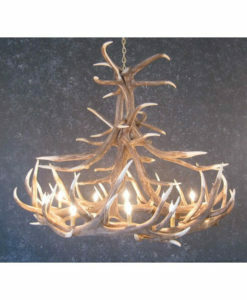 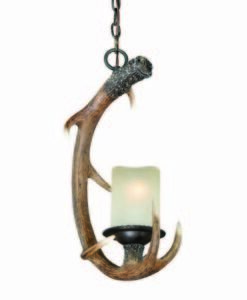 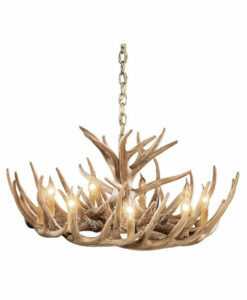 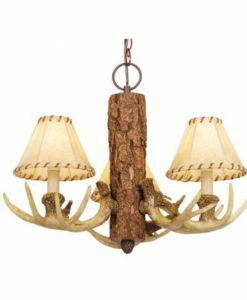 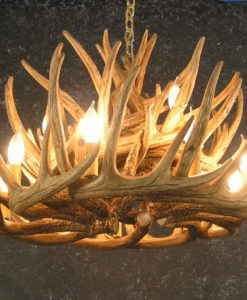 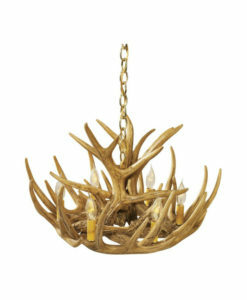 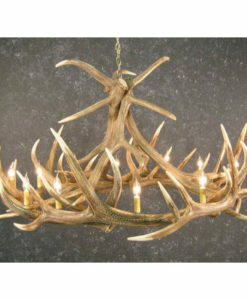 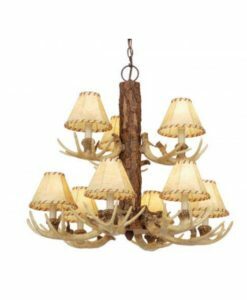 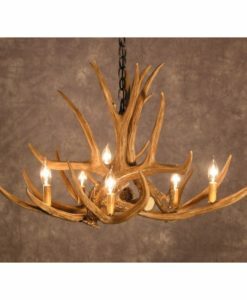 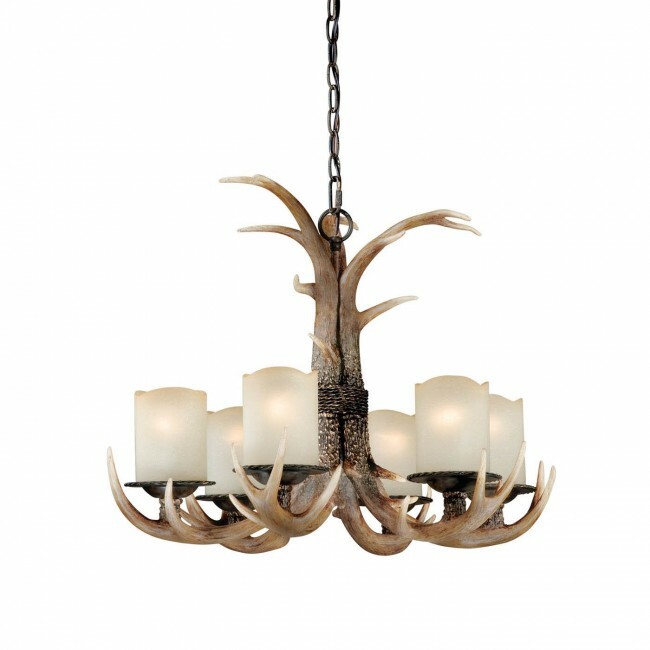 Rustic & classy faux antler chandelier finished in a black walnut. Six lights enhanced by creme cognac glass shades. 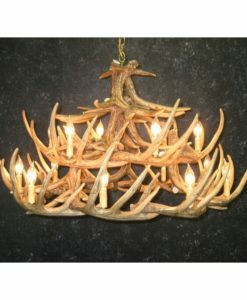 Perfect for your cabin entry way, dining or living room!